There are 2 main types of business entities in the USA: Corporation (or Corp, or Inc.) and Limited Liability Company (LLC). Other forms exist such as sole proprietorships, partnerships, and specific structures (not-for-profit, banks, etc.) but those are hardly ever appropriate for foreign owners establishing a US entity. The Corp and the LLC structures have their own specific organization and tax treatment which may, or may not, fit your US project. Before checking what is the best state to create your US entity, make sure you know the pros and cons of both structures. Although it is technically possible to change from one type to another, it is cheaper and faster to dissolve the existing US entity and create a new one in most cases. Why does this affect especially foreign-based companies? 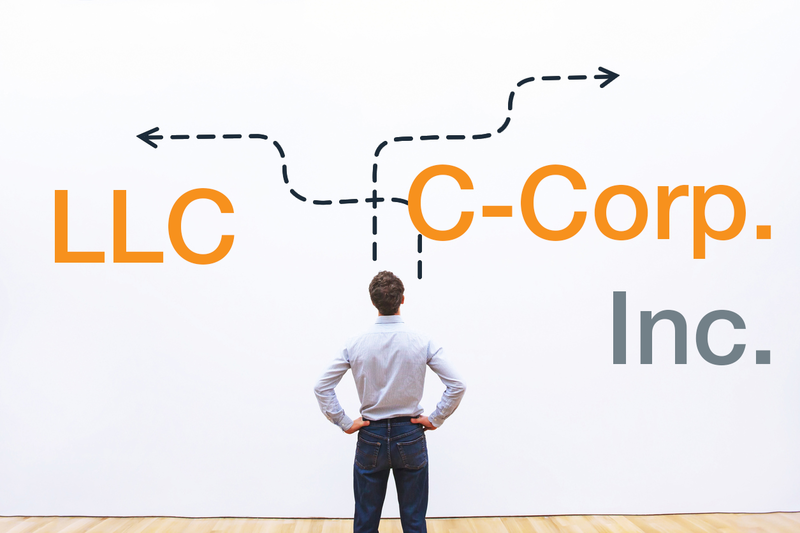 The LLC structure is usually the best vehicle for owners who are US citizens to optimize their individual taxation. Therefore, US lawyers who are not experienced with international clients will tend to advise this type of entity whereas it might not be in international owners’ best interest. Indeed, the latter will most likely be required to declare their worldwide revenue to the American tax administration… but no one tells you that at first! The Corporation structure is usually the best vehicle for international owners who want to protect their interests abroad (usually the Parent Company’s interests) and for entrepreneurs who wish to raise funds or sell their business in the future. However, beware that some US lawyers or tax experts might scare foreign owners with the “double taxation principle” related to this structure: the Inc. is taxed on the generated net income and the owners are taxed on distributed dividends. Unfortunately, they often forget to mention the international tax conventions as well as the various intercompany options Parent Companies can use to mitigate the “double tax” exposure. Worst case scenario: you might be advised to create a hybrid structure such as an “S-Corp” or an “LLC taxed as a Corp.”. If the first one is exclusively for US citizens and can be discarded if you are not, the second one has been crafted from the ground up for very specific and unusual situations regarding ownership and management. As a result, each correspondence with federal administrations, states authorities, and banks will most likely last forever because this structure is so uncommon that they do not have any specific process to handle it… why would you make your US expansion more difficult than it already is? When you create a US entity, these 2 structures (LLC or Inc.) will fit your needs in almost every situation. Once you understand the legal and tax implications for both the company and the owner(s), the choice is obvious. Besides, although you might have taken many decisions with the goal of optimizing your tax liability for your parent company, tax optimization opportunities often come along with volumes (in terms of sales and/or investments), or sophisticated projects (ex: acquisition). Therefore, the key here is to focus on the structure that will offer you the best combination to protect your interests and to ease your US expansion while mitigating your tax exposure. The lawyer may, or may not, coordinate with the federal administration to obtain the tax identification number (also called: employer identification number, EIN, FEIN, or Tax ID Number). Tip: If you have a US Social Security Number, the EIN application can be filed online from the IRS website. If you don’t, the application can be filed by mail or fax using the SS4 Form (see instructions at this link). Ask your lawyer to make sure you apply properly. The lawyer may, or may not, coordinate with the federal administration to obtain the tax identification number (also called: employer identification number, EIN, FEIN, or Tax ID Number). Tip: If you have a US Social Security Number, the EIN application can be filed online from the IRS website. If you don’t, the application can be filed by mail or fax using the SS4 Form. Ask your lawyer to make sure you apply properly. Fees usually amount to $1,500 (lawyer + administration fees). In case there is more than one stockholder or member, fees increase along with the complexity of the stockholders agreement or operating agreement. The timeline will depend on the information flow and whether you have the minimum requirements already available. It usually takes 10 business days to 1 month.